Shaping Youth writes extensively about the need for a massive media mindshift away from the sexualization and commodification of girls, so it’s with great pride and ‘atta girl’ go-power that that we announce one of our own honorees in our All Things Girl round-up is seizing the headway and momentum to launch her renamed site The Girl Revolution! To the issue of a “GLocal” need for a Girls Revolution…look no further than this BBC News report about a local Taliban commander ordering parents to stop sending their daughters to school by Thursday, Jan. 15, 2009 or risk being blown up for attending! Militants attacks in 2008 already destroyed 130 schools in the region, leaving 17,000 students without an education in the Swat valley region of NW Pakistan. 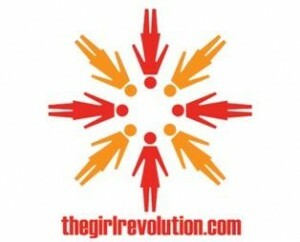 The Girl Revolution as a CONCEPT takes on many perspectives, nuances, and profoundities…far beyond Tracee’s advocacy blog. From Sejal’s Girls Helping Girls at (Empower A Girl.org) to Patti’s grassroots Canadian Tween Club and our own advisor, Michealene Cristini Risley’s Tapestries of Hope documentary telling the poignant stories of the Girl Child Network in Zimbabwe (premiering at Sundance soon, and recently awarded in my own hometown of Honolulu via the Aloha Accolade Award for Excellence in Filmmaking!) —It’s ALL important work…It’s ALL relevant…and it’s all worthy of a Girl Revolution. …Yet their voice is rarely heard; often stuffed in bravado and machismo of ‘shoulds and coulds’ that do their own headtrip on these kids, too! Our entire documentary film in development, Body Blitz: Media, Shaping Youth is about this phenomenon, as it holds a camera up to the K-5 playgrounds to capture the behavioral shifts taking place with VERY young kids of BOTH genders in the hopes that we can reverse this “KGOY” (kids getting older younger) effect before we erase childhood altogether. You’ve got your work cut out for you Tracee, and we’re backing you at Shaping Youth! Here’s her post about it if you’d like your own ‘posterchild’ to be empowered among her peers—Quite a difference from ‘pin-up girls’ of the other sort, yes? Our global youth deserves better. Our girls. AND our boys. TGR Launch Party #4 – You’re Amazing! Twilight Teens, GirlChild Press (Growing Up Girl) and Read Kiddo, Read! My Chinese NY fortune cookie for the event I attended Saturday said, “You will always go beyond what others say is not possible.” Fitting words indeed. I think Dr. Jenn for Girls is doing a great job of this holistic view of both genders, for even though she’s empowering girls, (trying to undo some damage done) she’s using the data from guys about what they REALLY want vs. the perceptions of same to cut through the emotional clutter and appeal at the heart. I’m thankful to have found both of your sites. Congratulations to both of you! I have so much hope and passion for our cause as a mom of two powerful little girls. It is amazing the strength that people can summon against all odds. Watching aging parents’ health decline is very emotional. (I too wept at that video — for many reasons). It often amazes me just how much pain a person can tolerate without losing his/her positive attitude, compassion for others, and thoughtfulness. I have met so very many people through blogging that exemplify inner strength, peace, grace, and gratitude. Like you, I have a mom who is like the Energizer Bunny. I worry about her sometimes because she pushes her body so very hard despite some severe illnesses. I worry about her hurting herself. While I write about many different chronic illnesses, you may have noticed on my blog that endometriosis awareness has a special place in my heart! You see, my endometriosis symptoms began at age 13. I was finally diagnosed at age 23 by my first (of many) laparoscopic surgeries. I’m now 40. One thing that could have “shaped my youth” in a very positive way (!) would have been to be properly diagnosed and treated much earlier — for a severe chronic illness that struck me as a child and has affected me my entire adult life. This illness affects SO many girls and women. (It also has a large genetic component). I am so passionate about the need to create awareness about endo. Some estimates put the prevalence of endo at 7 million women & girls in the U.S. alone. Estimates are that there are ** 89 MILLION ** women and girls worldwide (!!) suffering this condition! In the meantime, sadly, many people have never even heard of endometriosis! (With the possible exception of hearing misinformation on it this last season of Dancing with the Stars, when 2 dancers were diagnosed through unaccepted means). Pediatricians should be trained about endometriosis. Women like me shouldn’t have to wait 10 years for a proper diagnosis! Sadly, 9.9 YEARS is the average lag from onset of endometriosis symptoms to diagnosis of endo. Even the typical gynecologist is inadequately trained (if at all) on treating endo. It’s no wonder it takes 9.9 years, on average, for diagnosis. (It generally takes trial & error with many different GYNs and specialists for someone to find a doctor who can effectively diagnoses & treat their endo). At this time, the method for diagnosing endo is via an outpatient surgery called a laparoscopy. Far too many womens’ and girls’ symptoms are marginalized, dismissed, or even ridiculed by healthcare professionals who, to date, are typically not properly trained about this common condition. To add salt to the wounds, most women who have endo wind up with a constellation of other serious illnesses (!) that research studies have correlated to endo [i.e. fibromyalgia, interstitial cystitis, multiple chemical sensitivity (MCS), irritable bowel syndrome (IBS), Reynaud’s Disease, and others]. Funding for research on these illnesses is historically very underfunded… in large part to the fact that most (not all) patients with these illneses are women. I just pulled up your blog to take a peek after you left your kind comment on mine. It’s a small world because I see you have Tracee Sioux’s blog “The Girl Revolution” fetured here. (Tracee gave me tips when I first got started blogging — and her blog just had a great makeover. It looks fantastic)! Anyway, I wanted to thank you for visiting my blog. I’m really glad you liked the video! I love that video so much that I posted it a few months back, just posted it again for good measure, and I have it in my “YouTube slideshow” of videoclips in my blog’s sidebar. On a serious note (since my blog is about chronic illnesses… most of them “invisible illnesses”), I thought I’d include here some stats that really caught my attention during a large blogging event of many health bloggers uniting last fall for a week of awareness, seminars, etc. It’s an annual event but this past year was my first time particpiating since it was my first year blogging. The stats below are mind-boggling to me. They may be hard for some to believe in because they are so stark. However, based on my blog’s traffic and readers’ comments on my blog, I have no doubt that these stats are accurate. There are far more chronically ill people out there than I ever realized. The video that I pulled these stats from is very well done. (I generally don’t post links in comment fields so I just plucked some stats out of the video — but if you are interested in viewing the video clip itself, it’s on my blog post from: September 7, 2008). * Nearly 1 in 2 Americans has a chronic illness. * 96% of all illness is invisible. * About 1 in 4 adults suffer from a diagnosable mental disorder each year. * 9 million people are cancer survivors who cope with side effects daily. * 75% of marriages end in divorce when one or both people have a chronic illness. * Physical pain is a cause of up to 70% of suicides. I don’t post this info to be a “downer” in any way — but because I feel it’s important for people to understand that the numbers of chronically ill patients keep climbing and climbing at staggering rates. Thank you so much for taking the time to stop by my blog and leave a comment. I really appreciate it!! Your stats and your endo focus would be VERY relevant for teen girls particularly…so please consider doing a guest piece for us on ‘what to know before you go’ in terms of girls advocating for themselves at the ob-gyn, especially those with severe cramping and adolescents with complications that are as you rightfully say, often MISdiagnosed! I’d love to hear a Q&A style ‘tips’ piece from you on this matter…and I’ll carry the info with me to the Fem2.0 Washington D.C. summit on health/policy/issues etc. on 2-2!! Also thought if you aren’t on it already, you should be a health blogger on Wellsphere, about firsthand experiential knowledge with given conditions…Just a thought! Check ’em out! Thanks for taking the time to comment…come back soon, ‘k!? I am absolutely thrilled that you are so receptive about increasing awareness about endometriosis for GIRLS and not just women!! The vast majority of people I know who have endo had their symptoms start when they were girls! With participating in local in-person endo support groups since 1992 (when I got diagnosed w/endo), with starting an endo group where I now live (in 2001), and with writing my blog since last June… I have met (in-person or online) SO many endometriosis patients. It’s just incredible! I would be thrilled to do a guest piece on “what to know before you go”, as you described. Too many girls don’t know what questions to ask, what to expect, or how to advocate for themselves in a healthcare setting (especially in a GYN setting which may be awkward for girls who are not familiar with pelvic exams and such). Would you like it to be targeted at girls going to the GYN for their first exams, creating awareness so that parents/pediatricians/internists can be more more proactive in advocating for younger girls, or both? I’d be happy to write a piece on each if that would help. Holy cow! If you’d like something to take to Washington about endo, I would be THRILLED to write a piece! That sounds FANTASTIC!! I got the prize! Thank you!! I’m excited! I have a young daughter and look forward to reading it! Jeanne’s last blog post.."Jeanne’s Endo Blog": Please Vote Using My New Poll! It Will Help Me Meet Your Needs Here Better! I just sent you an email. I was very happy to open my mailbox yesterday and find “Packaging Girlhood”! It’s so refreshing when I get mail that is not a medical bill!! 🙂 I look forward to reading it. Thank you so much!! Jeanne’s last blog post..THANK YOU For The Blog Giveaway Prizes From ‘Twin Peas’, ‘The Girl Revolution’, and ‘Shaping Youth’! !